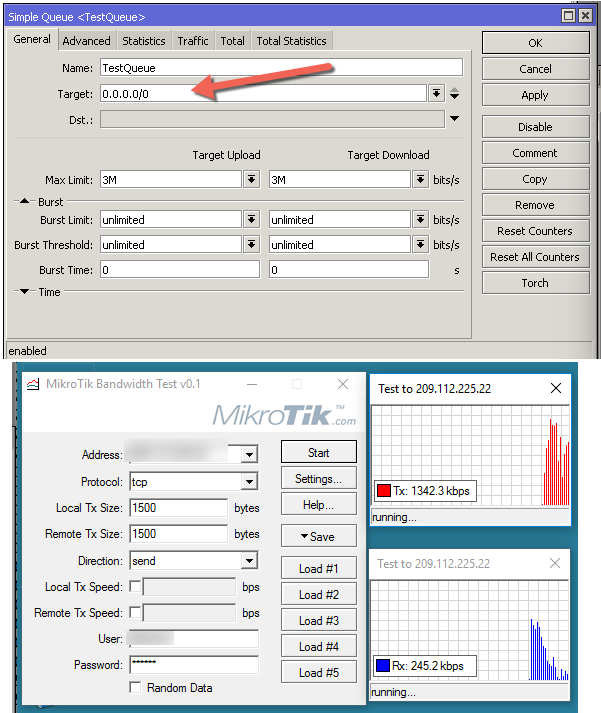 I have heard this more than once, my MikroTik RouterOS Simple Queues don’t work properly. In a simple queue, “target” option is the only option that determines the flow direction of a simple queue. Since the default value is 0.0.0.0/0, leaving it at that value creates an issue. as everything is download for 0.0.0.0/0. This means the queue will not deliver the amount of bandwidth you are expecting. Using the “dst” option is only an additional filter, it doesn’t determine the direction. Now, I changed the target to the IP of the test workstation. As you can see the queue operates as expected now, about 3Mx3M. 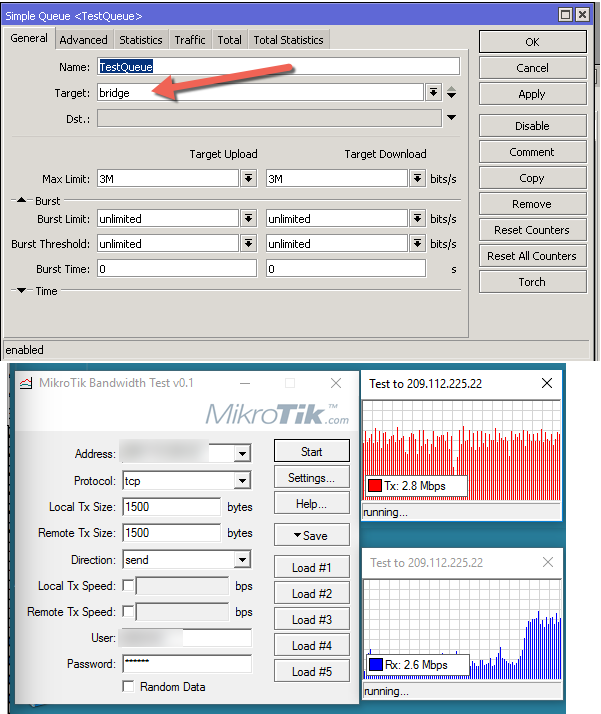 Set that target, don’t accept 0.0.0.0/0 and your MikroTik simple queues will work as expected. 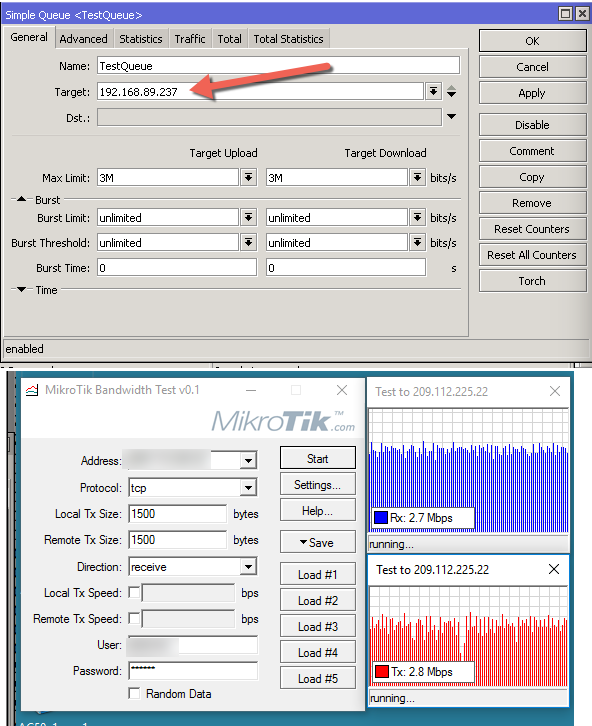 The post Common Error with Simple Queues in MikroTik RouterOS appeared first on Steve Discher. The trainers will be Chris Shipman and Sean Montgomery from TP-Link. Both are 25 year veterans in high tech fields. Sean’s background is primarily large scale deployments and working with US and Canadian Service Providers on very large new technology roll outs both in wired and wireless technologies. Chris is an expert in the design, development and delivery of advanced technologies to meet enterprises, education, military and government customer demands. His areas of expertise include wireless, switching, routing, and security. We have done several lunch and learn type events in the past but this one will be the largest and the best so everyone here is really excited. The free TP-Link AP we are giving each participant is also pretty cool. Come lunch and learn with us! I hope to see you there. Hit me back if you need more info. The post ISP SUPPLIES AND TP-LINK Event Coming Soon in Houston appeared first on Steve Discher.